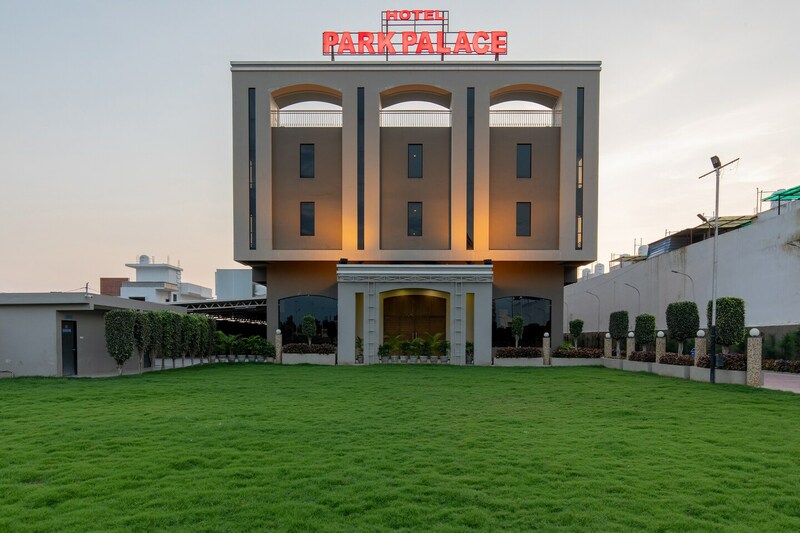 Hotel Park Palace is one of the favourite properties in the City of Mahakal. Here visitors stay close to comfort and tranquility during their time spent at Hotel Park Palace. The rooms, furnished with essential amenities, also have attached kitchen so that last minutes meals are always taken care of especially when you are travelling with children. The rooms are tastefully designed with regal wallpapers and realistic paintings hung on the walls. The hotel also provides many facilities to the guests like parking facility, in-house restaurant, seating area, conference room, banquet hall, laundry service, and dining area. Exploring Ujjain is very convenient from here as everything is a short drive away. Being close to important points like railway station and bus stand makes commuting easier.